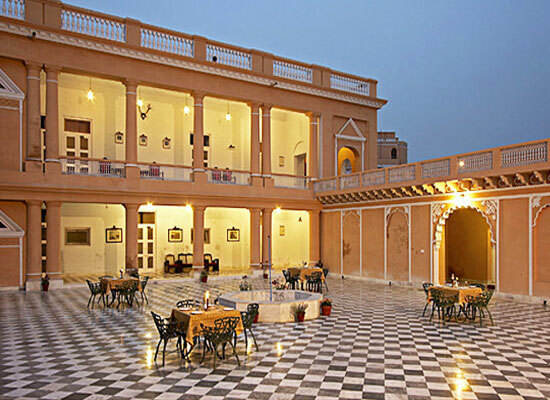 "One of the best deluxe heritage hotels in Kuchesar, the Mud Fort used to be the erstwhile seat of Jat Kingdom of Uttar Pradesh. The fortress was constructed in the mid-18th century and has been preserved in a wonderful manner. While the structure is inspired from the British, the hospitality is Indian. The property is placed in the panoramic landscape of fertile Ganga basin plains and comes with wonderful views. The rooms are equipped with modern comforts. At the restaurant, the guests can savor lip-smacking delicacies and beverages. There is also a conference hall here. 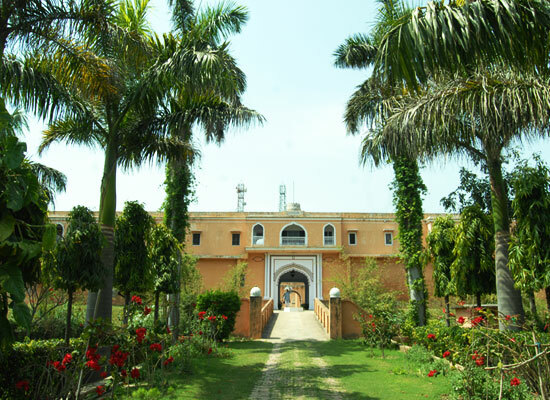 The Mud Fort, huge mansion belonging to the Jats of Kuchesar was built in the mid 18th century with seven turrets as a defence against the British cannon attacks. Around the mansion there is a wide moat which was dug to create the ramparts. 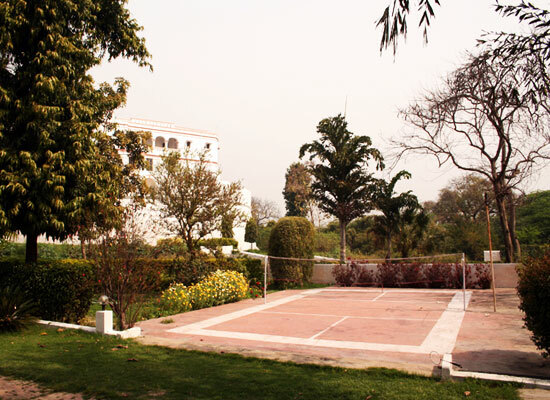 The pivot of attraction in the palace lies in the area sitting atop a large bastion overlooking gardens on three sides. This mansion is described by many as the replica of Robert Clive's house in Calcutta. The rooms at Heritage Mud Fort are spacious, and well-lit. The interiors are wonderful and warm color palette has been used. During your stay, enjoy wonderful views of the property or the surroundings. Some of the facilities and amenities in the rooms are huge four poster bed, comfortable furniture, table with sofa, wooden desk, tea/coffee maker, wooden wardrobe, attached bathroom and so on. 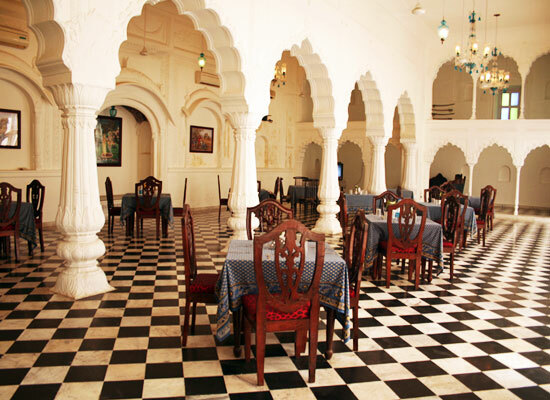 The Heritage Rooms have a royal set-up and offer a glimpse into the royal lifestyle of the erstwhile rulers. 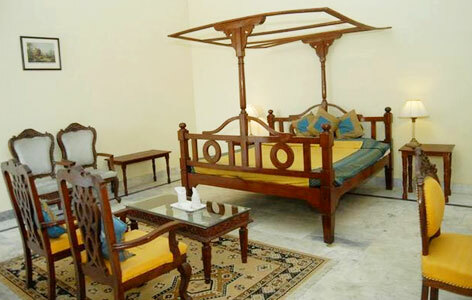 The rooms have antique furniture and rich upholstery and warm ambiance. The Deluxe rooms have a warm rustic appeal. The wonderful views and vintage furniture add to the charm of these rooms. As the name of the room state, Palace Rooms are quite spacious and take you into the world of royalty. Rich upholstery and antique furniture take you back into the days of the kings and the queens. The Super Deluxe Rooms treat you like a king with antique upholstery, antique furniture and a royal appeal. The modern facilities offer complete comfort. At the on-site restaurant, the chefs savor dishes prepared from recipes straight from the royal kitchen while adding the modern flavors. The spices are aromatic and the ingredients are fresh. The restaurant has indoor seating area as well as alfresco option. Dinner can also be arranged into the courtyard, on request. The décor is princely and interesting. Kuchesar lying in Utter Pradesh was a Zamindari or princely estate in British India. 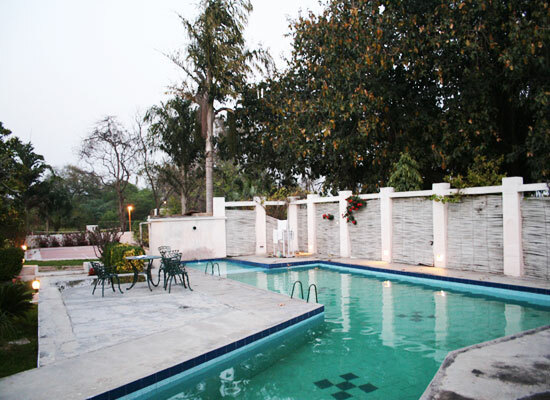 It is exactly located in the Bulandshahr district of Uttar Pradesh lying at a distance of 80 km from Delhi.